Seafarers now have access to an online map showing real-time maritime incidents, casualties and threats to shipping worldwide. The Google-based interactive map is a collaborative effort by marine insurers North P&I Club and specialist maritime intelligence, investigation and risk management company Gray Page. 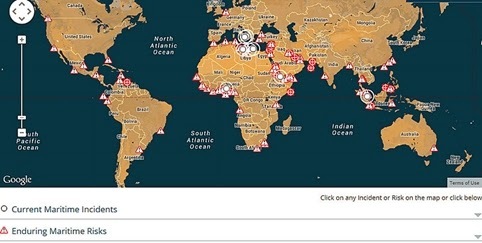 The map is divided into three interactive headings — Current Maritime Incidents, Enduring Maritime Risks and Listed Areas — and can be found on both the North P&I Club Maritime alerts page and the Gray Page Threat picture section. Gray Page first developed and launched the maritime threats and incidents picture back in 2013, and last year North and Gray Page began ‘jointly collecting intelligence on the “enduring risks” facing shipping for the purposes of populating the database’, said head of intelligence at Gray Page Jim Mainstone. Current commercial risks are highlighted and analysed — including information about fraud, sanctions, cargo risk, corruption and trafficking information. Physical threats to ships and seafarers listed include piracy, kidnap for ransom, armed robbery and hijack for cargo theft. The danger areas outlined are based on the current UK Joint War Committee listed areas for war, piracy, terrorism and other hull perils. Hoegh Osaka remains at anchor on the Alpha Anchorage. On 10th January, weather conditions prevented any activity on the vessel other than to connect the third tug. Unfortunately, during the afternoon, one of the two tugs already in place moved from her position and collided with the Hoegh Osaka. There were no injuries to personnel, but the tug received some damage and it was replaced by another tug. No pollution occurred during this incident. The main concern at the moment is the weather and the forecast for continuing high winds in the coming week. Plans are being refined to meet the challenges this presents. In particular, the salvors now intend to start ballasting work before pumping the 3000t of water out of the vessel. They have managed to board the ship today and will ensure the pump is working, but they will also look at the ballast system. We will issue a further update on 12th January. 1978-built, 2937 dwt general cargo vessel Retaj caught fire while docked in Turkey’s Mediterranean Port of Iskedrun, January 14, Haber Turk reports. The fire reportedly spread across the entire Togo-flagged ship. Local firefighters are currently on scene and are trying to contain the fire. Turkey’s Minister for Transport, Maritime Affairs and Communications Lutfi Elvan told Haber Turk that four tugboats have been sent to the scene to help put out the fire. 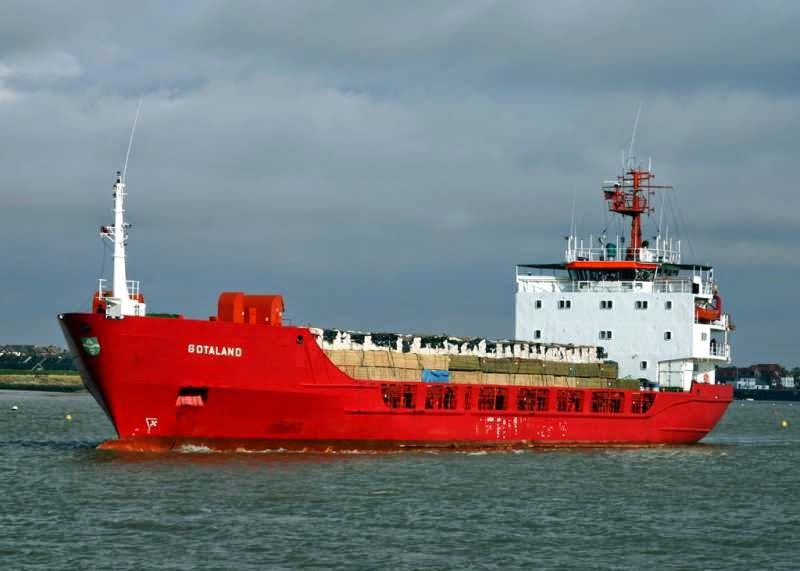 All crewmembers aboard Retaj at the time of the accident were rescued, and there have been no injuries reported so far. The cause of the accident is still unknown. Pieter Schelte arrived in Rotterdam Today. With a length of 382 metres and a phenomenal width of 124 metres, this is the biggest ship in the world. 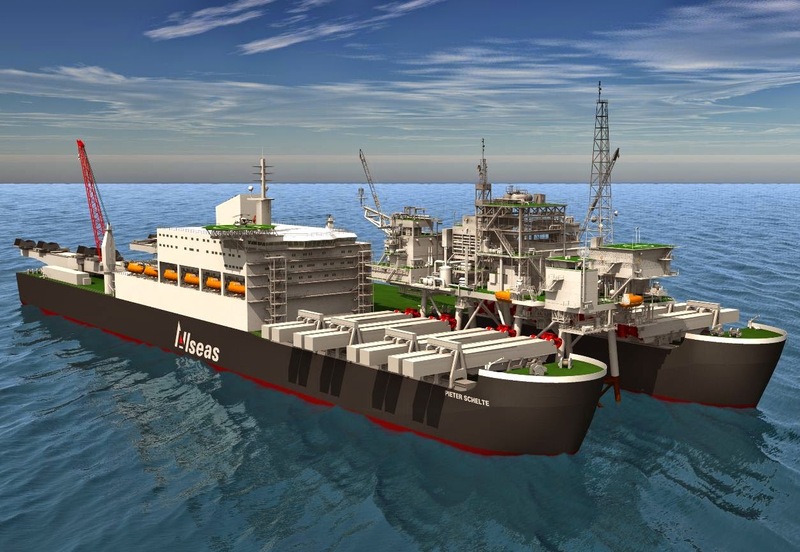 It has been designed and developed by the Dutch-Swiss offshore company Allseas. The Pieter Schelte will spend the next four months in Rotterdam undergoing final assembly in the inner lake of Maasvlakte 2. Among other things, 65-metre long support beams will be fitted to the ship. Including this work, the spin-off of the total construction of the vessel for Dutch business is estimated at €700 million. This involves 440 different Dutch companies. “The arrival of the Pieter Schelte in Rotterdam is in line with Port Authority policy, which is geared towards strengthening the Rotterdam offshore sector further. In this connection, it is developing new port sites specially for this sector in both the existing port area and on the Maasvlakte. Recently, for example, Franklin Offshore Europe set up business at RDM Rotterdam”, says Allard Castelein, Port Authority CEO. The Maasvlakte provides possibilities on existing sites, on sites still to be developed and the plots of water on Maasvlakte 2 can also be put to good use for the offshore industry. Potential markets are the dismantling of oil and gas platforms, facilitating the construction of wind farms, (de)mobilisation projects and the establishment of large-scale manufacturing and assembly industry. In Rotterdam and the surrounding area, more than 900 businesses are active in the maritime and offshore industry. These include leading companies such as Allseas, Keppel Verolme, Mammoet, Heerema, Damen and Boskalis. 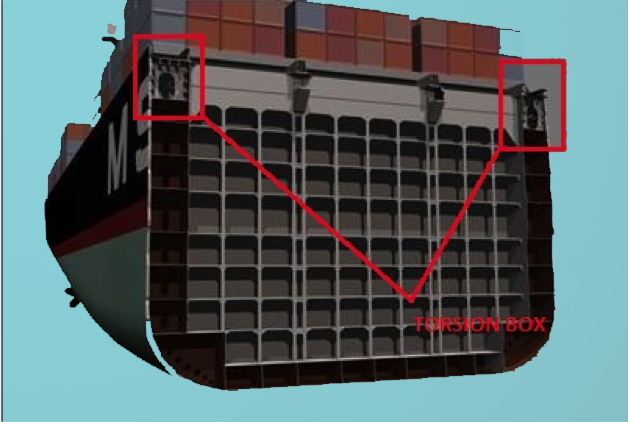 What Is The Purpose Of “Torsion Box” In Ships? The maritime industry has seen a rapid growth in the container transport division followed by increase in the size of container vessels, a result of increasing demand for container vessels above 5000 TEU. 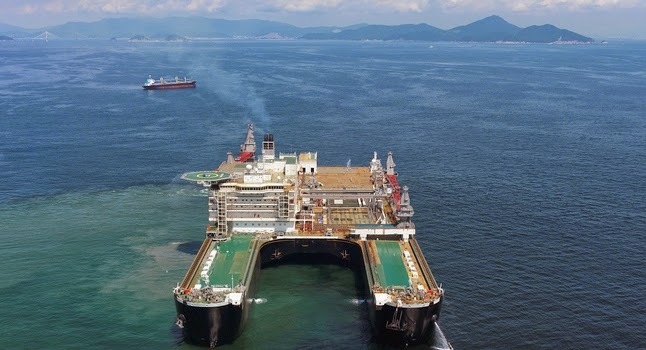 However, the increase in the size of the ship and its containers has also given rise to large deck openings, which calls for global maritime investigation into the structure of the hull girder and its effect under torsional and wave bending loads. Torsion in ships is caused due to forces which do not pass through the sheer centre line axis of a ship's hull cross section. Torsion basically tends to twist the vessel just like how we rinse a cloth by twisting it. b) dynamic torsion or wave induced torsion. Other forms of torsional moments arise from the vibration of propeller shaft, vibrations due to twin screw propellers etc. As the name suggests, wave induced torsion is caused due to the unsymmetrical hydrodynamic wave loading on the port and the starboard sides of the vessel. Similarly, still water loading is caused due to the unsymmetrical cargo loading over port and starboard with the ship remaining upright. A ship heading obliquely to a wave will be subjected to righting moments of opposite direction at its ends, twisting the hull and putting it in ‘torsion’. In most ships these torsional moments and stresses are negligible but in ships such as large container ships with extremely wide and long deck openings they are significant. Ships are designed to withstand the maximum torsional loads due to either static or dynamic or both the torsional moments together. However, in some cases where there are large deck openings; it becomes difficult to strenghten the vessel only with the help of hull girder and stiffeners. This leads to the concept of torsion box. The strengthening aspect of the torsion box can be easily understood by the example of a bucket. It is commonly observed that the plastic or steel bucket which we use for house-hold purpose has a curl to its periphery. This curl is similar to the torsion box used in ships. If you remove the curl from the periphery of the bucket you will observe that the strength of the bucket decreases rapidly (mostly in case of plastic), i.e. it can be bend easily with very small forces about its edge. However, with the curl-on its strength increases to a very large extent! But how does this curl or in our case the torsion box helps in increasing the strength to a very large extent? Torsion box in ships can be defined as a continuous structure formed in between the top part of a longitudinal bulkhead, freeboard deck and sheer strake. It runs from the collision bulkhead and extends up to the aft peak bulkhead. It is heavily stiffened usually by bulb angles which provide sufficient strength against torsional moments and other bending loads. Research and FEM analysis of thin-walled beam, taking into considerations the effects of shear and warping, is applied for computation of bending-torsion, coupling and vibration characteristics of ships with large openings. The contribution of torsion box towards the torsion rigidity is deduced. 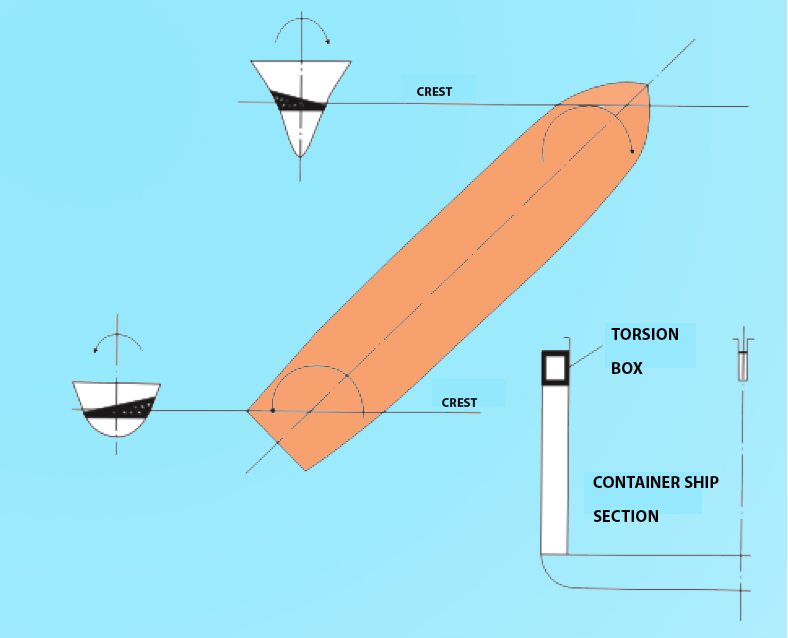 Reference: MESH Engineering and Software Co.
Container ships are highly subjected to torsional moments because of their very large hatch openings. This leads to even higher warping stresses at the corners of the openings due to lack of torsional rigidity. The upper part of the double hull in such ships is fitted with torsion box as mentioned earlier. However, it is not always possible to have the large cross-sectional area, and therefore, the Naval Architect has to increase the thickness of the plate in order to provide torsional rigidity. The marginal distance between the hatch end and the side shell is approximately 1.5 ft. This is done so as to maximise the space for the stowing of containers. It is often seen that the main deck is subjected to high torsional moments and racking effects and the deck spacing in the way of the hatch opening along the transverse is very less. As a result, the stress concentration can lead to cracking at the corners of the hatches or crack the deck itself! In order to prevent such failures, torsion boxes are fitted with welded joints on the side shell as on the deck plating which prevent the torsion produced by twisting. • It helps in preventing torsional bending on ships due to the torsional moment on ship caused by dynamic movement of the waves. • Helps in avoiding racking effect caused by the sheer stress on the vessel structure. 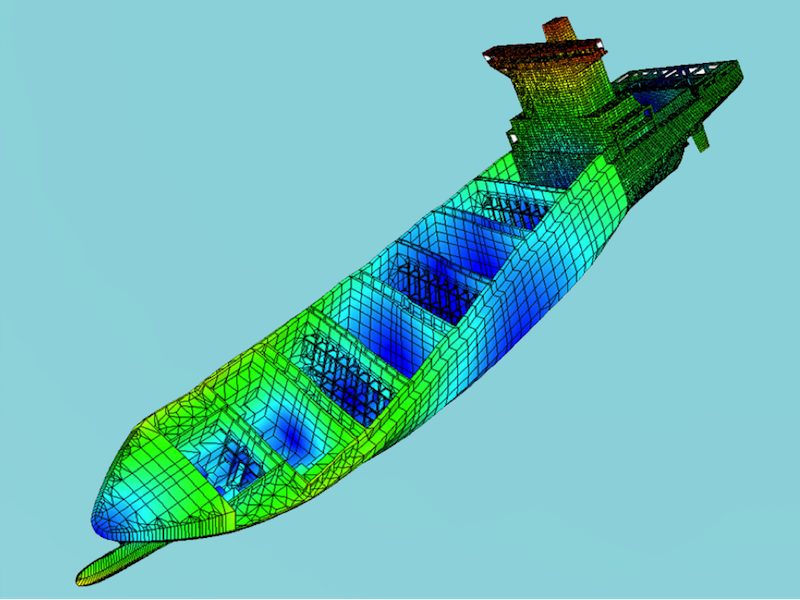 Therefore, while designing ships with large openings (like container ships) it is often ensured that proper FEM analysis and model testing procedures are carried out. Proper strength analysis of the hull and deck plating should be done. At points of stress concentration i.e., at the corners of the hatch openings, sufficient stiffening should be provided and at times the thickness of the deck plating can also be altered without causing any structural discontinuity. Daewoo Shipbuilding & Marine Engineering (DSME) officially christened the World’s Largest Container Ship MSC Oscar with 19224 TEU capacity. With eco-friendly, high-efficiency systems and state-of-the-art technology, MSC Oscar has been delivered earlier than its scheduled date, with the naming ceremony carried out on 8th January. MSC Oscar is one of the three ships ordered by China’s Bank of Communications in 2014 and is hired on long-term charter by Mediterranean Shipping Company (MSC). The World’s largest ship MSC Oscar with the length of 395.4 m and width of 59 m is equal to the size of four combined football fields. The ship will be scheduled to route of Asia-Northern Europe, i.e. Busan – Qingdao – Shanghai – Ningbo – Rotterdam – Antwerp and elsewhere.